As you are researching collagen and the many benefits of it for your skin and general health, you might come across some information about gelatin. While collagen and gelatin start out the same, the end result is quite different. Here is a rundown of the main differences between these two proteins. The first thing you should know is that both collagen and gelatin start out as collagen. Which is why it is good to understand exactly what collagen is, in order to have a better understanding of the difference between the two. Collagen is a type of protein that exists in your body. It is an excellent source of amino acids as a type of protein that exists in the connective tissue in your body, as well as on your skin. When you begin showing early signs of aging, like wrinkles and loose skin, it is often from a lack of collagen in your skin. While this is where many people notice it first, you can have other signs like joint pain, back pain, or gut issues, since it is inside your body as well. Gelatin also starts out as collagen, but when collagen is cooked (like certain parts of an animal), it turns into gelatin. This is one of the easiest ways for you to consume collagen – before the new collagen supplements – which is why more people are accustomed to getting these amino acids through gelatin sources. There are still many health benefits to consuming gelatin instead of collagen supplements, but since it is cooked, you might not have the full nutrient benefits. Both collagen and gelatin are an excellent source of amino acids and proteins for your joints, bones, skin, and muscles. Some forms of collagen, like hydrolyzed collagen, is also amazing for your gut health and digestive system. 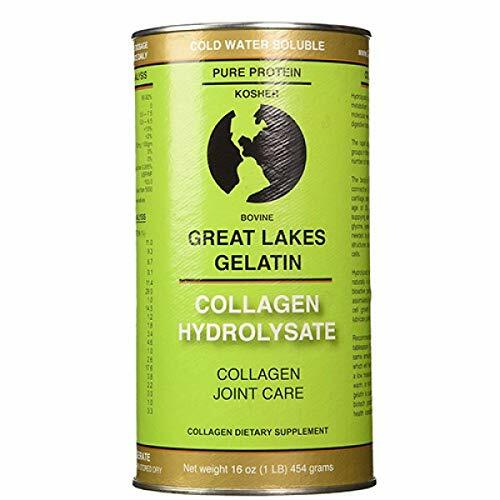 There is nothing wrong with gelatin if you prefer getting your collagen in that form, but now with so many options, it is no longer the only way to get this into your body. Collagen supplements come in powder form, which is easy to add to any food or drink. Plus, collagen is often found in plant-based foods, so there are even more options for people on a vegetarian or vegan diet. It is also good to have a little of both for a full range of health benefits.